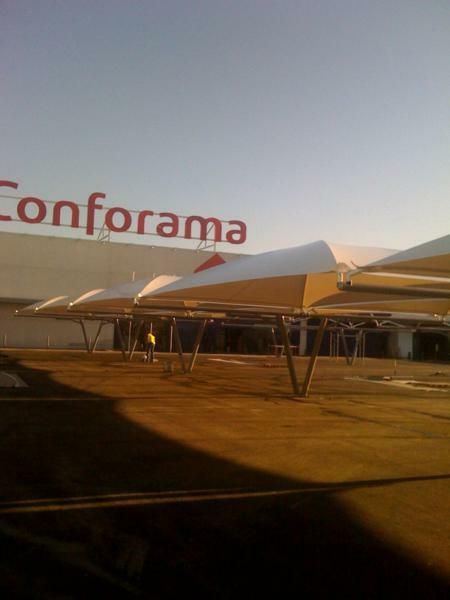 Fabrication and installation of important parking spots with over 250 places at the shopping center Abadia in Toledo. 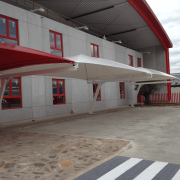 In this project our client chose our new textile canopies for car parking. 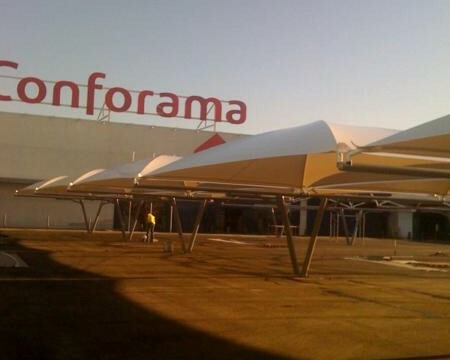 As we can see in the pictures the canopies are perfectly integrated regarding the architecture of the shopping center. 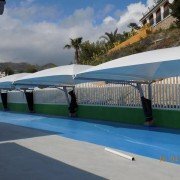 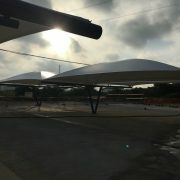 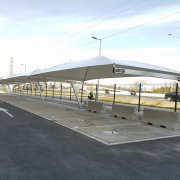 These new textile canopies for parking are an ideal solution for those who desire a special design for their parking canopies.